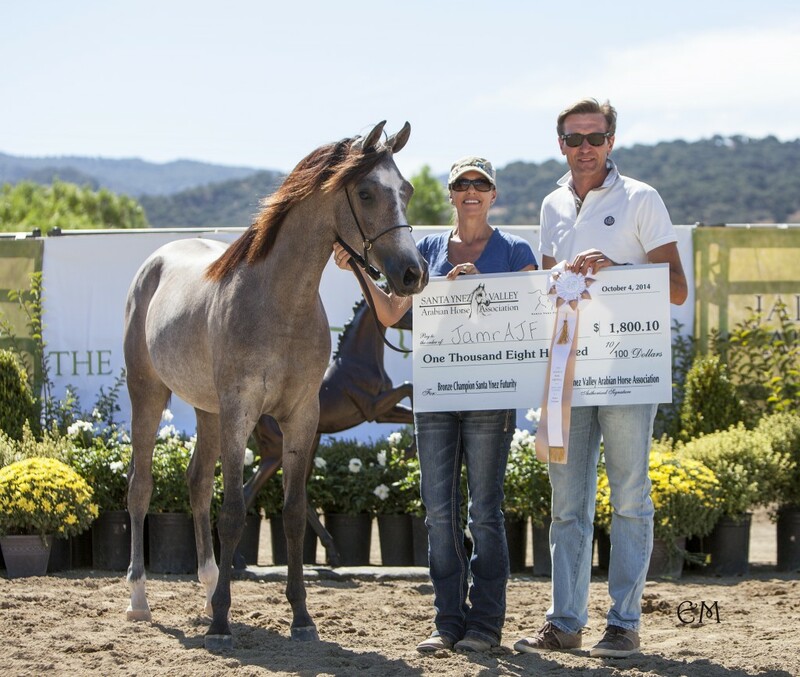 The Santa Ynez Futurity Classes of The Arabian Foal Festival will be held at the Seventy-Fourth Annual Purebred & Half Arabian Fall Horse Show in Santa Barbara. August 31 – September 2, 2018. Entries are Due August 10, 2018 to PO Box 881, Santa Ynez, CA 93460 or mdeannkelly@gmail.com title email SYF/AFF Entry. Sunday, September 2, 2018 – Class #1003 – 2015 Santa Ynez Futurity Ridden Trail, Camino Arena, last class of the session. The popular Arabian Foal Festival has been put on Hiatus. The Santa Ynez Futurity Gelding classes WILL CONTINUE TO BE HELD AT THE FALL SHOW THROUGH 2018. That will include an In Hand Trail Class for the Two year old Geldings and a Ridden Trail Class for the Three year old Geldings. Both classes will continue to be awarded prize money of a combined total of over $25,000 for the Santa Ynez Futurity with checks being given to the Gold, Silver and Bronze winners of their classes. A unique Futurity concept for Geldings bred in the Santa Ynez Valley in that prize money is available for these Arabian Geldings as Yearlings, Two Year Olds and Three Year Olds. 2016 SYVAHA Futurity Geldings – Preview from SYVAHA on Vimeo. SHOW DATES FOR THE 2016 ARABIAN FOAL FESTIVAL ARE PENDING. Geldings that were foaled in 2015 are nominated by their breeders to the sale – and the new owner purchases a gelding that comes with a Futurity Right that has payouts in 2016, 2017 and 2018 at The Arabian Foal Festival! The payout for the 2016 Santa Ynez Futurity will be determined by the number of Geldings entered into the sale along with their sale price. The Santa Ynez Futurity is the biggest payout for futurity geldings existing in the U.S. It makes for a pretty exciting opportunity for buyers to take advantage of – your Gelding could pay for himself and then some! All Futurity Classes are for Amateur Handlers and will take place at The Arabian Foal Festival – We hope to see you there! 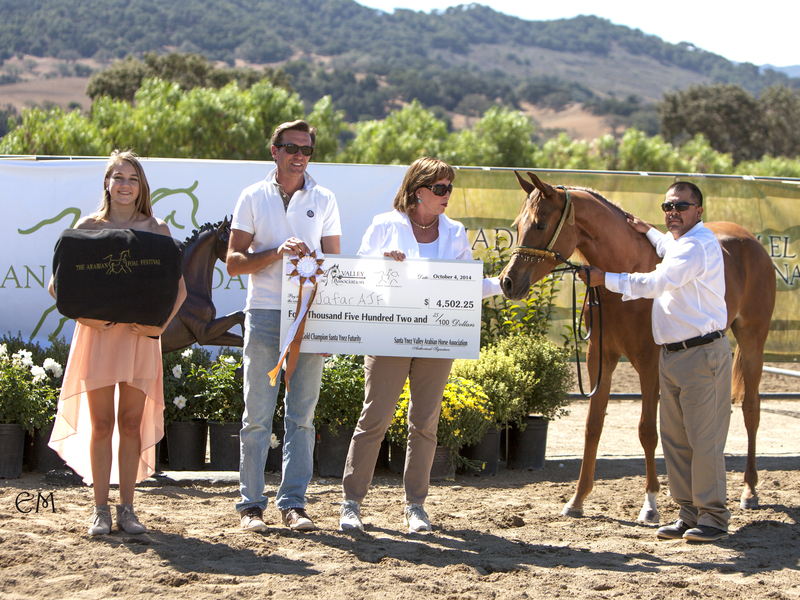 The 2015 Santa Ynez Futurity has a total payout over three years of over $30,000! 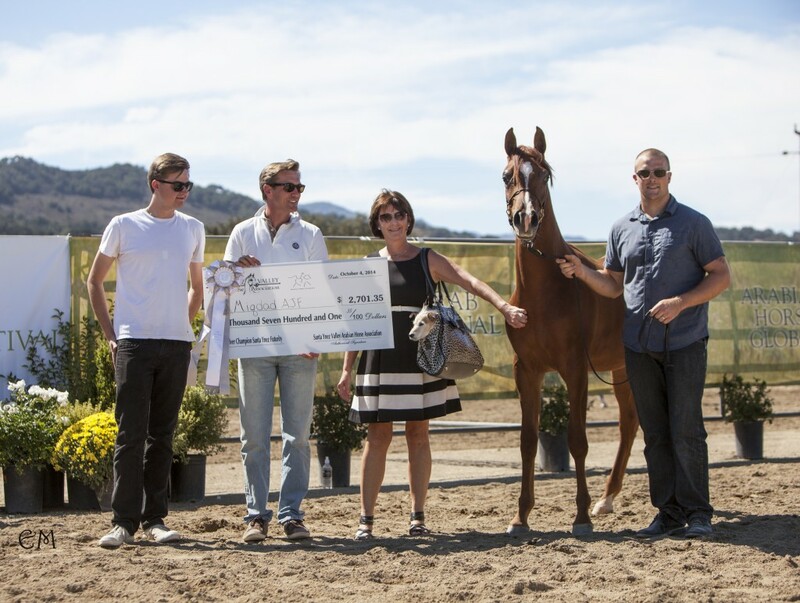 The 2014 Santa Ynez Futurity has a total payout over three years of over $40,000!